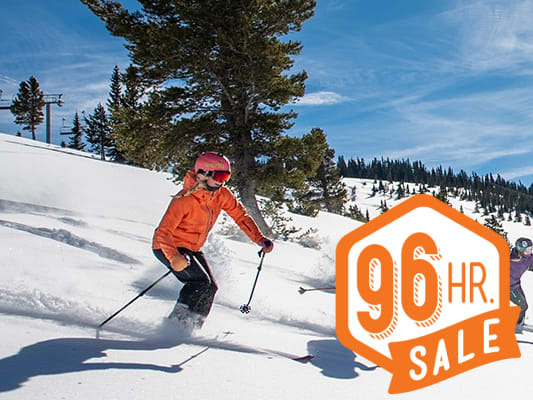 As a loyal pass holder, we're extending you an additional 20% off lodging with the 96 Hour Sale. Finish off the season strong with a spring ski trip to Vail. Call (888) 343-7894 by March 1 to speak with a reservation agent. As a loyal pass holder, you get access to 20% off the best available lodging rates, including the already discounted 96 Hour Sale rates. Enjoy all that spring in Vail has to offer, including great snow conditions, après outdoors on sunny afternoons, and a fantastic lineup of events, including the Burton US Open and free concerts during Spring Back to Vail. For a limited time, take advantage of this offer at any of our Vail Collection properties. Don’t wait, the 96-Hour Sale expires on March 1st at 11:59PM MST. Book online or call (888) 343-7892 to speak with a reservation agent.